When people think of Iran, they think of the ancient historical ruins such as Persepolis or the fantastic blue-tiled mosques of Esfahan. And while these sites attract the most tourists, there are also plenty of natural wonders to uncover, from terraced hot springs to crystal blue lakes, rocky mountains to lush forests. Take a trip with us to discover these most spectacular valleys that are truly worth visiting. 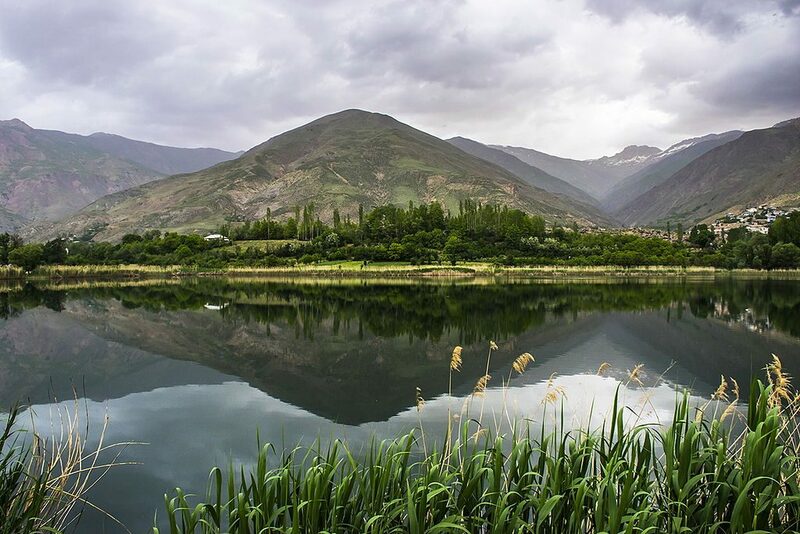 Located between the dry plains of Qazvin and the forested hills of Mazandaran Province, the Alamut Valley rewards those who spend some time hiking through it. You’ll twist and turn through the sandstone cliffs while passing sleepy towns along the way and perhaps a shepherd or two who’ve brought their flocks to graze. Otherwise, you’ll bask in isolation before coming upon the ruins of the Alamut Castle, otherwise known as the Castle of Assassins. It may be a far cry from the castle you have in mind, but the intriguing backstory and view from above promise to be worth your while. 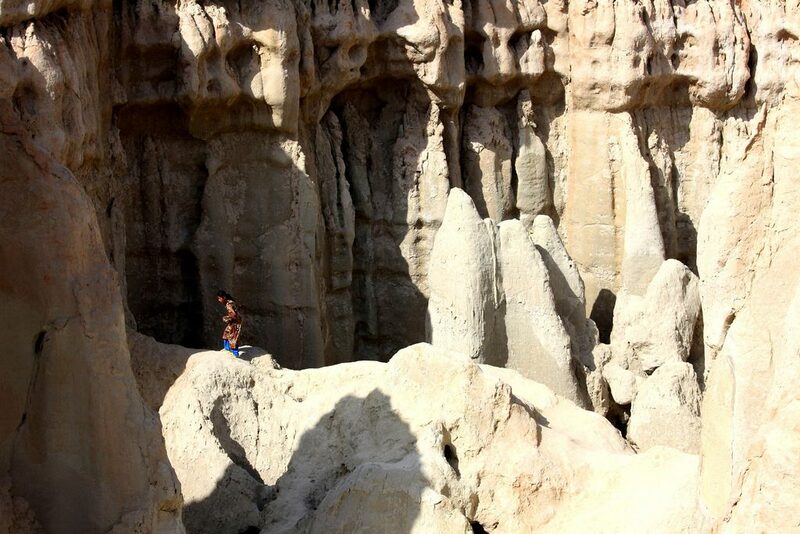 A world of wonder is contained on the island of Qeshm, and among them is Stars Valley, a geological masterpiece. Years of wind and rain erosion have carved out the shapes here, but locals hold on to the belief that a meteor once fell upon it, creating the rocky formations that give it an otherworldly appearance. Even though local legend also claims that this valley is riddled with jinn, that shouldn’t spook you from what is sure to be one of your most unforgettable visits. 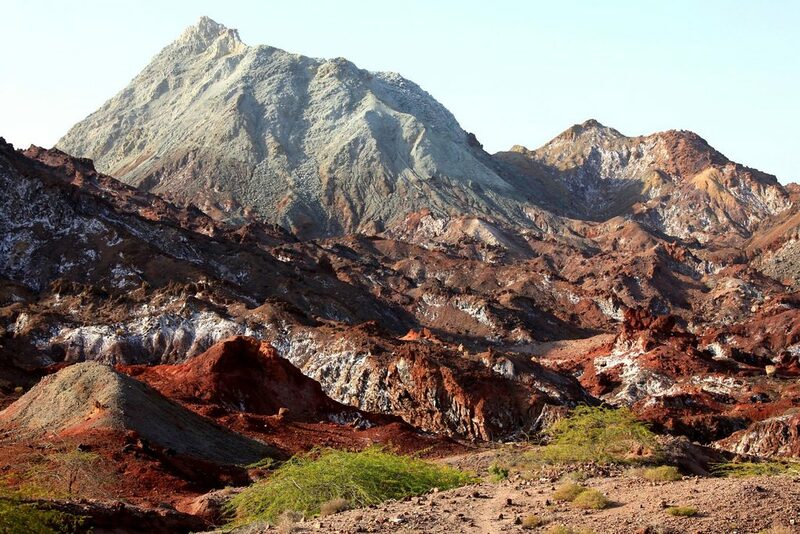 Close to Qeshm is the island of Hormoz, another geological phenomenon. The area known as Rainbow Valley received its name due to the range of colors. Each rock and mineral formation is a different shade of red, yellow, or purple; it’s as if an artist used the land as his canvas. As beautiful as this wonderland is, it’s best visited in the winter when temperatures are a bit milder—otherwise, the sun can be unforgiving. 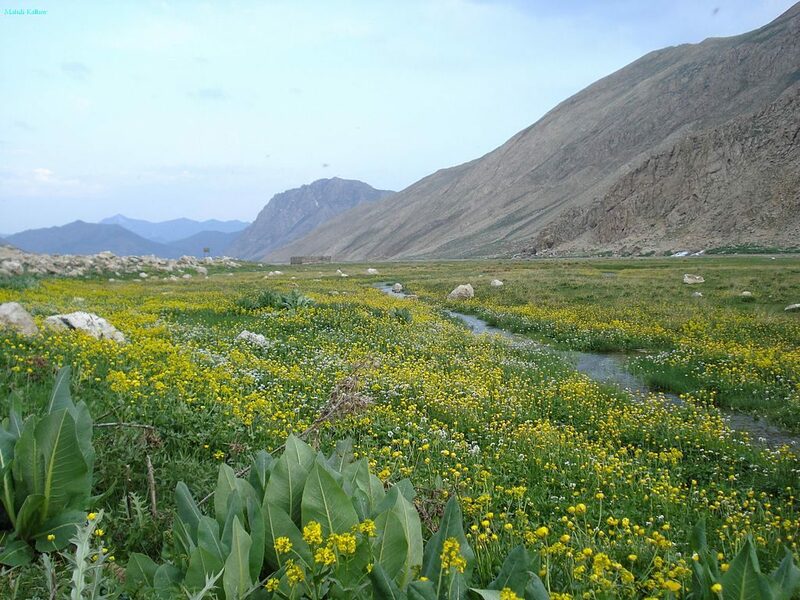 There are plenty of valleys to explore in Taleghan, which is comprised of 76 smaller villages. The first valley appears at the top of the mountain pass to enter this county, and calm, clear water reflects the villas that dot the hillside. Other tree-lined villages sit in the valleys, surrounded by slopes lined with walnut trees fed by roaring rivers down the center. 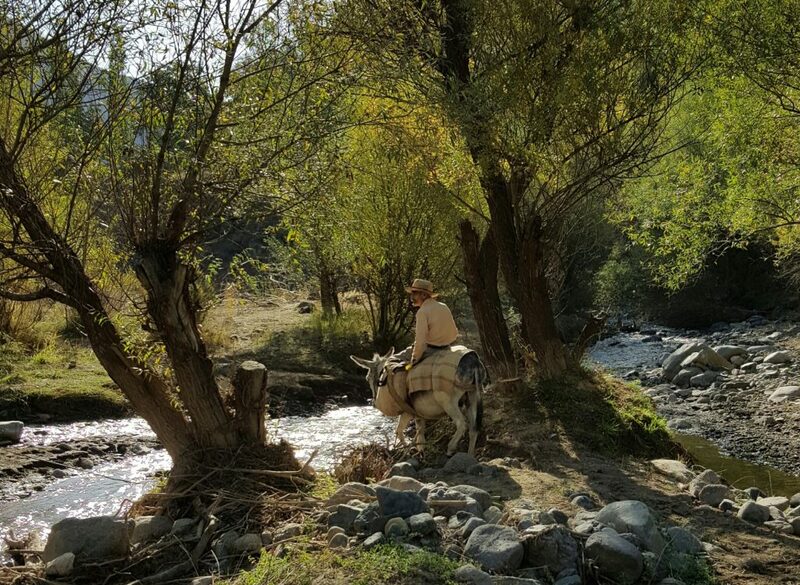 Wild horses and bell sounds of the grazing sheep make frequent appearances, creating the perfect escape from busy city life. Lar Valley sits at the foothills of Mount Damavand. Given its diverse ecosystems, it’s home to various birds, reptiles, mammals, and amphibians. As it’s only open for a few months during the year, it’s best visited from May to June when the landscape is covered with bright yellow wildflowers and wild red poppies, adding a lovely contrast with the azure waters of Lar Dam. 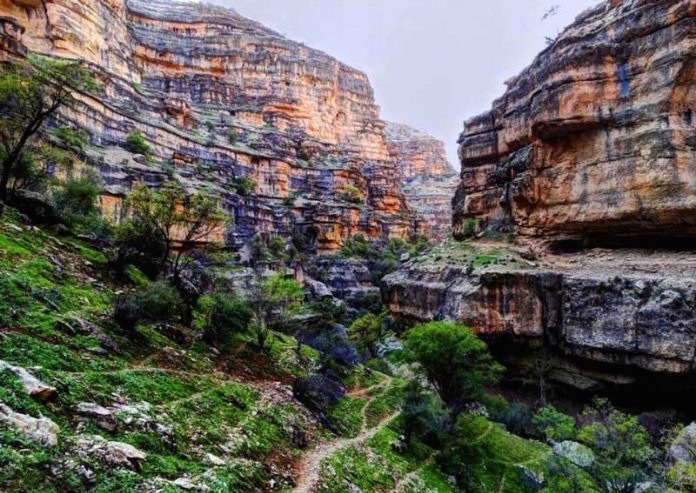 Lorestan Province is known for its natural beauty, and Shiraz Valley, located about 45 kilometers (28 miles) north of the town of Kuhdasht, delivers just that. These amazing, colorful stone mountains appear almost as layered steps. The unique landscape here draws in tourists who hike through the valley, alongside the Seimare River, while crossing towering stone pillars and waterfalls along the way. Mild temperatures in the summer make it the ideal time to visit. 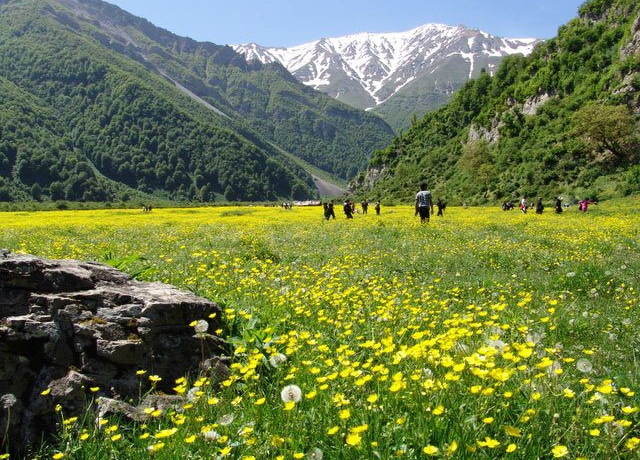 The sensational Dohezar Valley sits outside Tonekabon, a city in the Mazandaran Province along the Caspian Sea and still commonly referred to by its former name, Shahsavar. Peace of mind and a cool climate await visitors who vacation here in the summer, escaping the chaos and heat of other parts of the country. Thick forests, open grazing fields, and flowing streams make up the heavenly atmosphere, and it’s also a fabulous place to catch the Mazandarani dialect and culture of the local villagers.